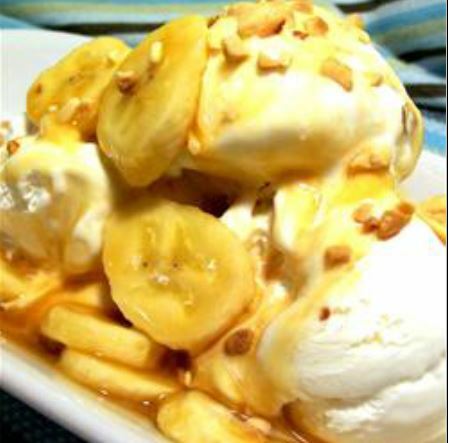 A delicious and fast dessert. Impressive served when the sauce is still bubbling! Serve with coconut ice cream, if desired. Melt butter in a large, heavy skillet over medium heat. Stir in sugar and cook, stirring, until sugar is melted and light brown. Slowly stir in the cream (mixture will bubble up). Let mixture boil 1 minute, then reduce heat to low. Place the bananas in the pan and cook until heated through, about 2 minutes. Serve hot over coconut ice cream.